Rabbi bless you for bringing a light into the darkness. In the past week I have started giving 5% of every wholesale order I get from a customer to their favorite charity. I am starting a list of their birthdays and will send a card. More free samples with each order. As more companies ask or should I say tell us as customers to do more for ourselves and charge us more I am going the other direction. These businesses fail to understand that we are humans and not mindless machines. We have feelings and like a flower needs sunlight and water to grow we need a smile and to be treated with respect and gratitude. Thank you once again for these words as they help to reinforce my view that what I am doing is correct. Thanks for writing and expressing such uplifting and encouraging ideas. It does sound as if you’re on the right track. Thanks for sharing this, and many other, thought-provoking articles. As a resident of NYC for over 16 years I can testify that what you’ve stated here is in fact a reality. Not only that, it is only an ever INCREASING reality in NYC as families move away from here in droves. I never really saw the connection between large single population and poor customer service but it makes sense. My observation over the years has been that the majority of TRUE New Yorkers (born and raised here) are actually quite nice and helpful. They just have a thick outer shell. The really RUDE “New Yorkers” are the transplants. Those people who come here with an idea about what New York is really like from movies, television, or just hearsay. So in order to defend themselves and to seem like true New Yorkers they act tough and rude. I don’t have actually stats/data but I can tell you from my observation that the majority of people moving here ARE in fact single. Not many married people with families are pouring across the Hudson. And if the singles that come here do end up finding someone here and getting married, I’ve seen that eventually most of them move away. This is one of the many reasons my wife and I have decided to pack up and leave the city “so nice they named it twice”. We have seen an ever increasing hostility to families with children (we have 3 and are planning on adopting more). You feel it as you walk down the street or try to have lunch/dinner in a restaurant. The city that never sleeps is a city for singles. This is something we are even seeing in our church, where young single millennials are being catered to more than young families. So thank you for your great service to our family and many others. Keep up the fight, and we will do the same! Andrew, I know my husband will reply, but as a native New Yorker I told him that he was only seeing part of the city, and that there was a different type of New Yorker as well. I left long ago and your words explain that things have changed since I grew up. I knew that, as I remember going on the subway wearing a dress with a crinoline and white gloves to see a Broadway show as a child, I don’t think that happens today. Your words make a lot of sense. Best wishes for a new life in Texax! May your move go smoothly and bring happiness, health and prosperity to your family Andrew. I’ve always had a great respect for the Jews. I once worked for a Jewish family that owned a wholesale distribution company in Columbus, Ohio. I was always amazed by their generosity to the needy. I also did some business with a Jewish store that had some good buys. I was impressed by the ladies that waited on me, they would put their hand under mine when they gave me my change so that I wouldn’t drop any. That’s good to hear; thanks for recounting. Columbus has had a thriving Jewish community for a long time. Thank you for your words. I agree wholeheartedly with the connection between customer service and marriage. I work in a hospital and there is nothing I enjoy more than helping someone locate a department or helping them get an appropriate appointment. The more people I help in a day the happier I am when I arrive home in the evening. And I might add – why do the people who give poor customer service not see the direct line to the way they want to be treated when they are on the other side of this service? A conundrum for sure. 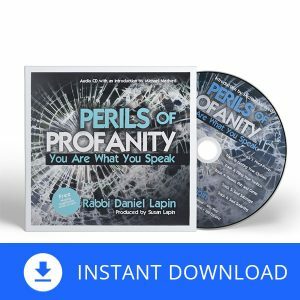 I find generally speaking – you get what you give. Caring for others with competence and courtesy is holy work. This is a wonderful post! I think this sentence you wrote is 100% true. “Furthermore, young people raised by parents in a happy marriage have learned how uplifting serving others can be. 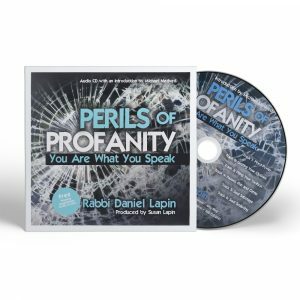 Such youngsters are more likely to serve customers with smiling enthusiasm.” And… I love your recording “Perils of Profanity.” I hope that many, many more people get the chance to listen to it! Blessings. Coming from you, your compliment really carries value. You really are a credit to your parents.